I am helping an estate sell a 73 240z. It was owned my Mike Fulkerson of Lexington, KY and he had owned the car since new. It was his baby and was restored to near concours level, actually winning 1st place in his class at Ault park concours in Cincinnati, It is a VERY nice car. I am trying to get an ad together and figure out a value for the car and was hoping some of you would be willing to help. Please let me know what you think and what details and pictures other Z experts would be looking for. Here is a link to all of the pictures I have, in case you're interested. My very first 240Z when at 16 years old was the same color. It had vinyl roof and was an automatic The car looks to be in very good order. Not the most desirable color, but the modifications are tastefully executed. I suggest looking at what comparable 240Zs sold for on Bring a Trailer, and base your selling price accordingly. In fact, you may want to consider placing the car up for auction on BaT. It will get good exposure and the scrutiny from a knowledgeable community. I met Mike at the 2011 ZCON in Savannah. I remember his car well. I'm sorry to hear that this is an estate sale. Very nice! I fixed your images.. Here are the ones I have from the 2011 ZCON. Beautiful car! I agree with DatsunZguy about putting it on BAT. A number of 73 240's have done well on there of late. Does not look like it would take much to return it to all original if the new owner wanted to. Great pictures Steve, thanks for adding those. I agree with all that has been said above and wish you well with your sale. The car has a build date of 5/73. One of the most noticeable items in the photos to me was the carburetors. They are the earlier round top Hitachi version which, by this time in 240z evolution, should not be original equipment. I suspect that the flat top carbs were changed out, as is often the case with 73 Z cars, in favor of the "easier to maintain" earlier carbs. This could have been done at the dealership within the first few years of ownership. Regardless, it appears the conversion was done properly by those that did it. To me the documentation that goes with the car more than offsets the dip in value usually seen in 73 240Z prices versus the earlier cars and the perception that this color is the "least desirable". It is readily apparent that this car WAS loved very much by it's owner. The condition of the car is testament to his care. There are several additional minor details that would need to be corrected by a purist, but the car is a rare example of a truly "period correct" 240Z. This car certainly deserves a commitment by the new owner to match that shown by Mr. Fulkerson. Thanks for posting this topic and keep us updated as to the progress. It will be interesting to follow. Wow. Thanks for all the info and encouraging words. I'm still planning on getting it on a lift to take pictures. SteveJ - Very cool that you remembered the car and have pictures of it at the show. I hope you can attest to the condition of the car to anyone that hasn't seen it. I'll look into Bring a Trailer. They picked up a Ferrari I was selling and the comments got out of control. There are a lot of "trolls" on there. Being another Mike, I also agree completely. Let's find Mike's gorgeous car a good home!! At first Mike's name didn't click with me, but as soon as I saw the photos, I realized I knew the car. The car looked great back in the summer of 2011, and it still looks great. It was definitely Mike's baby. It's probably a great opportunity for someone to purchase a nicely restored one-owner 240Z. That's coming from someone who owns two Zs that were rode hard and hung up wet by multiple owners. Does that mean a $40,000 asking price? does that seem reasonable to everyone else? I would tend to agree with Jerry. I was talking about this car at lunch with @Patcon. I think if you could get 2 or 3 people in an auction who really want a one-owner 240Z, it might go higher. The problems with the Hagerty valuation are 1) they tend to run high IMHO and 2) they group the 73 with the earlier 240Zs. Within the North American 240Z community, the 73 isn't considered as favorably as the 72 and the Series 1 cars. @Carl Beck could probably give a better idea of what the higher end cars are swapping hands for these days. Don't forget good old ebay, I sold my Z on ebay in the spring and I'm sure I got more for it there then I would have on BaT. Ebay would get to more people out of the US. I submitted grannyknot's car to BAT, it was accepted, and the extra exposure I am sure helped drive the final price on Ebay. BAT has quite a following now, the S30's get a lot of attention. Worked out perfect. I think the op's car is a high 20's car. Comes with lots of provenance. I don't know if this has been mentioned but Hemming's is another good one. Here's a '73 for $37,500. The Hagerty and other Classic, Collectible and Special Interest Value Guides - are all based on Pure Stock examples. As they left either the Factory or the Show Room Floor. If the subject vehicle isn’t pure Stock - the values there really don’t directly apply. They do however give us one benchmark to consider, but in general any modifications or variations reduce the market values. (of course we can all quote exceptions to any/all rules). If this 240Z had actually been Restored to Concours Quality #1/#2 standards - $45K to $55K today and sold to a private collector pretty quickly. 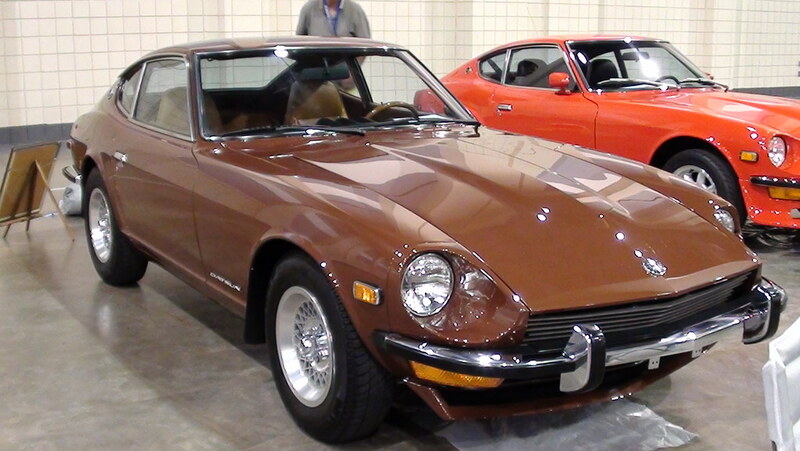 As nice and beautiful as it is.. it is still a high end Enthusiast 240Z (Condition #3).. reach the right buyer that loves the Metallic Brown, loves the one previous owner status along with the original documents… it should bring $25K to $30K fairly quickly. It is in a good market area - Lexington is an easy reach from most of the Central and Eastern population. Start with a one owner 73 always garage kept and well cared for..with relatively low mileage (less than 100K), rust free body in very presentable condition - easy $18K to $21K.. then add a couple years work and another $30K to completely refresh it - you might be able to duplicate this one. $25K to $30K would be a bargain. I believe more people are starting to realize it at this point. I'll run it by a few people I know.. see if there is any interest ..
Oh... AGREED - good photos sell 240Z's - get it up on a lift and get good undercarriage photos.. very important..
That '73 has been on Hemmings for a couple of years now. Based on what I've seen so far, I was hoping for $30K. I just want to say, You guys have all been great and very helpful. And this level of detail is why I tagged Carl. realistic pricing sales cars. Thanks for pointing that out. 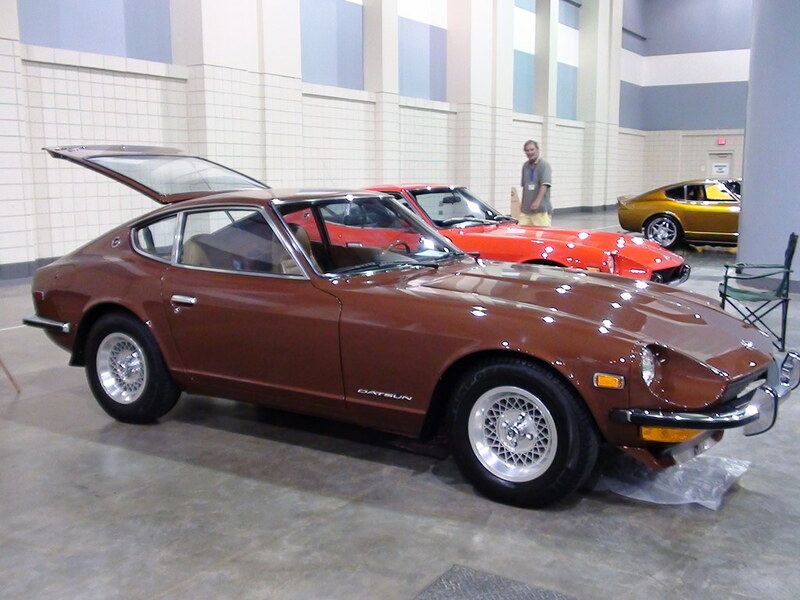 This just in from Sports Car Market - A good write-up on the 70-78 Z's - 77 280Z - Original Paint, 87K miles, all original car - Metallic Brown - $44K. Their analysis is that 240Z's are pushing the $50K range.. 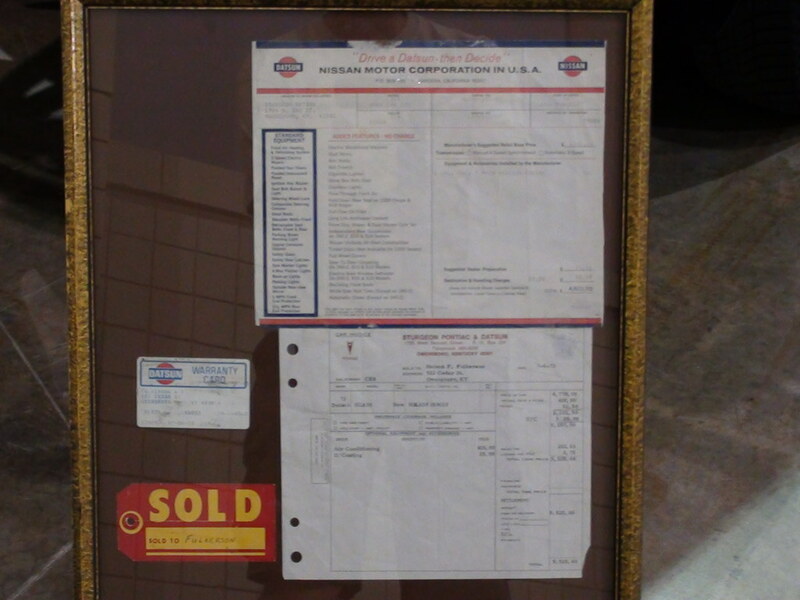 So maybe I'm a little low on my estimate.. $35K reserve perhaps..
A Super Samuri sold in the UK for $61,240.00 as well.